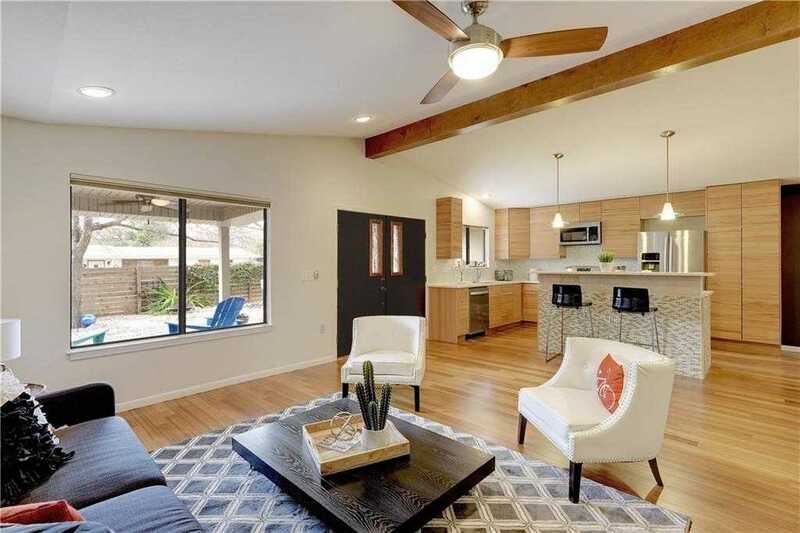 Stunning Mid-Century ranch home in Highland Park West! Remodeled to the studs in 2019;11. Soaring ceilings, abundant natural light, & open living/dining/kitchen great room. Chef’s kitchen with quartz countertops, stainless appliances, & center island. Woven bamboo, travertine, & marble flooring- no carpet! Spacious owner’s suite with sitting area & incredible spa-like en suite bath. Murphy bed in 3rd bedroom conveys! Two blocks to award winning Highland Park Elementary. See Updates list in docs. Please, send me more information on this property: MLS# 4592975 – $599,900 – 5017 Highland Ct, Austin, TX 78731. I would like to schedule a private showing for this property: MLS# 4592975 – $599,900 – 5017 Highland Ct, Austin, TX 78731.